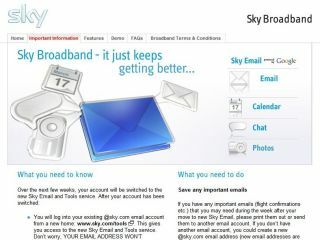 Sky has told TechRadar that it thinks its decision to remove the data cap on its Broadband Max package makes it the first major broadband provider to offer a truly unlimited service. With little fanfare, Sky changed the terms of its fair usage policy – taking away the cap on its 'unlimited' Max service – to the delight of subscribers. "One of the things our customers have told us is they would like "unlimited" broadband to be exactly that – truly unlimited," a spokesperson for Sky told TechRadar. "Sky Broadband Max customers are now free to download as much as they want, whenever they want. We think this makes us the first major broadband provider to offer a truly unlimited package. "Offering truly unlimited broadband is not the only promise we're making to our customers. We know that another thing they really care about is getting consistent, reliable download speeds. "At Sky Broadband, we have a high-capacity network that is designed to carry huge amounts of traffic without congestion. So our promise to customers taking our Base, Mid or Max products is that we won't slow down connection speeds at peak times. "So whether you want to download a movie at 7am or a music track at 7pm, you'll still be able to enjoy the same consistent speed." Sky's assertion that it is the 'first major broadband provider to offer a truly unlimited package' will no doubt draw comment from several other ISPs. Virgin Media, which also offers an uncapped unlimited service, openly talks about its traffic management policy in peak hours for the highest data users, but would argue that it does not limit the data amounts per se. We've contacted Virgin Media and O2 for its response and will keep you up to date.